Efficient construction project delivery is needed to meet building efficiency targets. While there have been several attempts to address sustainability and the built environment, the lack of efficient project delivery has impacted progress. 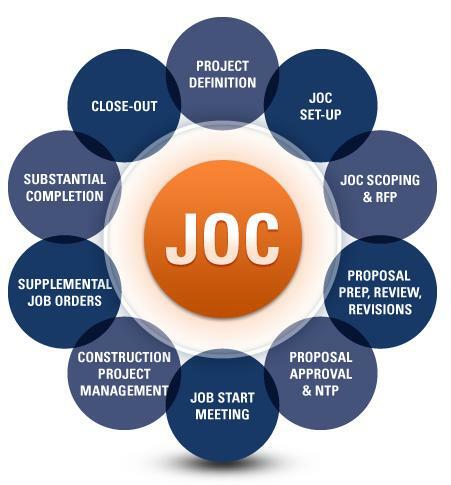 Job Order Contracting / JOC – is an efficient integrated project delivery methods that focuses upon collaboration and longer term relationships between Owners and Contracting, resulting in higher productivity and greater transparency. It’s time that JOC be implemented Agency-wide throughout the Federal Sector. President Obama’s Better Buildings Initiative is part of a vision for winning the future by catalyzing a homegrown, clean energy economy in the United States. The Better Buildings Initiative set a national target of improving energy efficiency in commercial buildings by 20 percent by 2020. Achieving the President’s goal will reduce energy bills for American businesses by approximately $40 billion per year. Improving energy efficiency in our nation’s buildings can create good paying jobs in the construction industry. The Political Economy Research Institute (PERI) at the University of Massachusetts Amherst supported by the Real Estate Roundtable and U.S. Green Buildings Council estimated a potential of 114,000 jobs associated with implementing the Better Buildings Initiative. President Obama directed all Federal agencies to make at least $2 billion worth of energy efficiency upgrades over the next two months. Additionally, 60 private companies, hospitals, cities, states, colleges, and universities, among others, have collectively committed another $2 billion in energy efficiency retrofits to 1.6 billion square feet of property. Goal of improving energy efficiency in commercial buildings by 20 percent by 2020. The initiative will reduce energy bills for businesses by $40 billion per year, and one report found it could create up to 114,000 jobs. The Better Buildings Challenge is the public-private partnership component of President Obama’s Better Buildings Initiative. The Challenge seeks to catalyze private sector investment and has attracted business and community leaders who are committed to supporting innovative ideas with action, sharing their successes, and creating solutions for others to follow. TheClinton Global Initiative (CGI) America, former President Clinton, Secretary Chu and Laura Tyson from the President’s Jobs Council announced an initial set of commitments totaling 300+ million square feet and $500+ million in financing support. The President announced commitments totaling 1.6 billion square feet and nearly $2 billion in financing support for building energy upgrades. This includes: Commitments from  Major CEOs, Universities, Mayors, Labor Leaders and Others – corporations, hospitals, financial institutions, cities and states, colleges and universities. 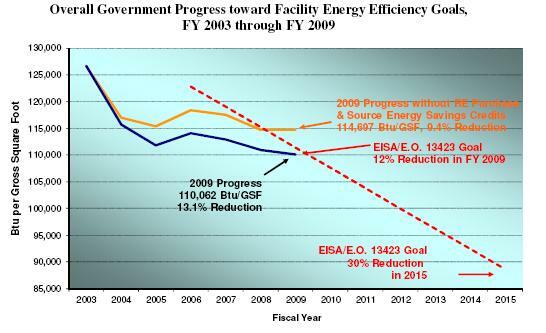 Data from the Department of Energy reveals a tremendous potential for efficiency investment opportunities in Federal buildings with less than 10-year paybacks. The Presidential Memorandum also directs Federal agencies to complete evaluations to identify specific energy conservation measures, including estimated cost and return on investment to prioritize and implement those energy conservation measures with the best payback, and to provide transparency and accountability through public reporting of results. Energy Building Labeling is Here ! 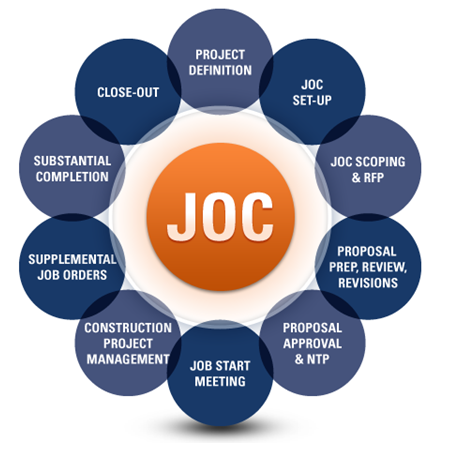 Importance of JOC to rapidly and efficiently estimate, procure, and construct projects? 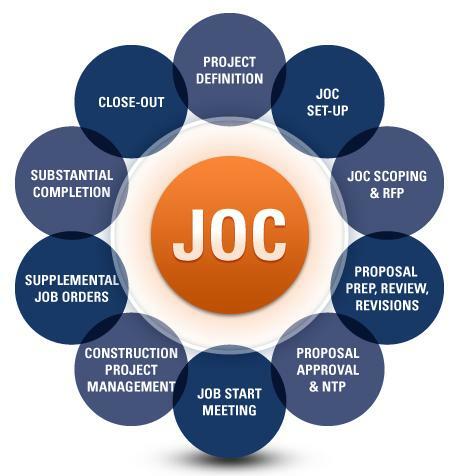 JOC (Job order contracting) is an efficient method to deploy sustainability projects across building portfolios. 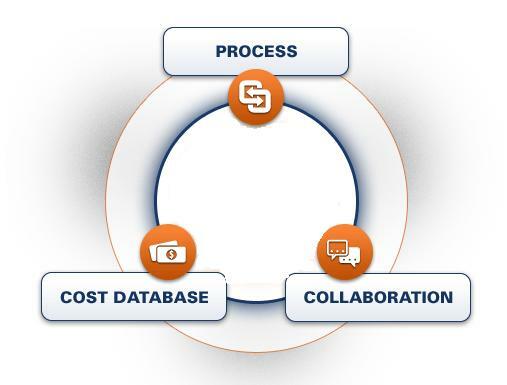 The JOC project delivery method is proven, accurate, enables collaboration, and is transparent. See http://www.4clicks.com for more and to download a JOC Blue Paper for additional information. 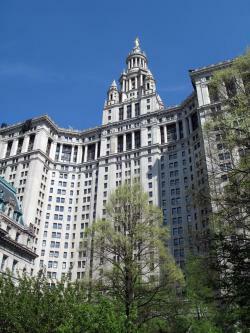 Recently New York City’s Bloomberg administration announced the completion of a benchmarking project for the city’s municipal buildings that will insure every city-owned structure in excess of 10,000 square feet meets very strict energy efficiency requirements. The project, initiated on December 9, 2009 with the passage of the “Greener, Greater Buildings Plan” (formally known as Intro. No. 476-A, Benchmarking Energy and Water Use), puts the city at the head of a national effort to improve building energy efficiency aimed at reducing America’ carbon footprint and its use of highly pollutive fossil fuels to generate electricity. For New York City, the benchmarking of 2,790 municipal properties represents a first step on a road which will benchmark both public and private buildings by May 1, 2011. The exception is only size; privately owned buildings must be larger than 50,000 square feet. The Plan aims to reduce the city’s total carbon footprint by 30 percent by 2030 (originally 2017), with five percent of that reduction coming from government, commercial and residential building. After the initial phase is completed, building owners will be required to benchmark yearly. For New York City, which worked with 28 individual city agencies under the auspices of the Department of Citywide Administrative Services to measure total electricity, natural gas, steam and fuel oil consumption, the achievement will allow the city to deliver energy efficiency funding (under NYSERDA, or the New York State Energy Research and Development Authority) to buildings most likely to benefit based on their age, size and condition. The project used the U.S. Environmental Agency’s (EPA’s) Energy Star Portfolio Manager energy management tool, which is integral to the LEED (Leadership in Energy and Environmental Design) certification process, as established and managed by the U.S. Green Building Council, or USGBC. The benchmarking paradigms, which include water as well as energy use, are expected to reduce carbon dioxide emissions in the city by 1.68 million tons compared to 2006 levels. Financially speaking, the Bloomberg administration expects to reach break-even on energy efficiency investments by 2013; two years later, it anticipates saving more on the city’s energy bills – which currently stand at US$800 million a year – than will be spent to retrofit the buildings. It’s an ambitious plan, employing not only the EPA’s energy management tool but also TRIRIGA‘s TREES software to monitor and thus reduce energy use, which is currently responsible for about 64 percent of the city’s municipal carbon emissions. Beginning Sept. 1, 2011, the city will post municipal building benchmark results on the Internet; a year later, commercial buildings will also be posted, on the same site as tax assessments. On May 11, 2010 the Bloomberg administration also completed a solar assessment of the city, using a Shrike Commander operating a laser-guided viewer/mapper to determine how many roofs within the city are suitable for solar photovoltaic installations. At a cost of US$450,000, it seems the most sensible assessment by a government entity yet, particularly as data will also be used to assess flood-prone areas. 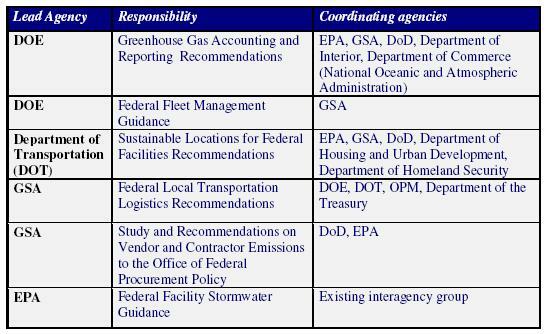 The federal government also offers energy use assessment advice, assistance and funding to individual commercial building owners through its Commercial Building Partnerships (CPB), using ARRA funds to implement energy saving measures of up to 30 percent for existing buildings and 50 percent for new buildings. This will likely be very helpful to building owners in smaller cities across the U.S., where municipal and regional government funding has been severely impacted by a recession that appears to be hanging on by its fingernails.